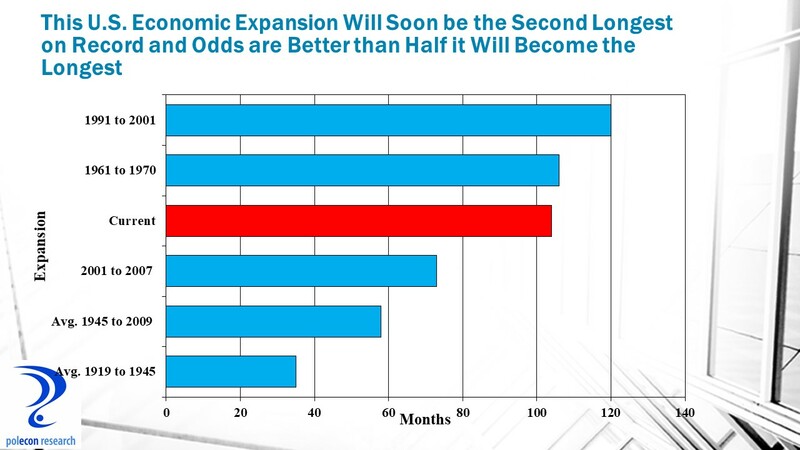 The U.S. economy is currently in the third longest period of uninterrupted expansion in its history, soon to be the second longest, and there is a better than even chance it will become the longest in history 16 months from now. Even without the recently enacted deficit-financed stimulus (tax cuts and expenditure increases) the U.S. economy was on solid ground, with growth forecast to be stronger in 2018 than it was in 2017. That is what makes lack of concern over the projected increase in the government’s annual deficit from about $700 billion to $1 trillion especially troubling. The current economic expansion is exceptional in duration and atypical in gaining strength late in the economic cycle. 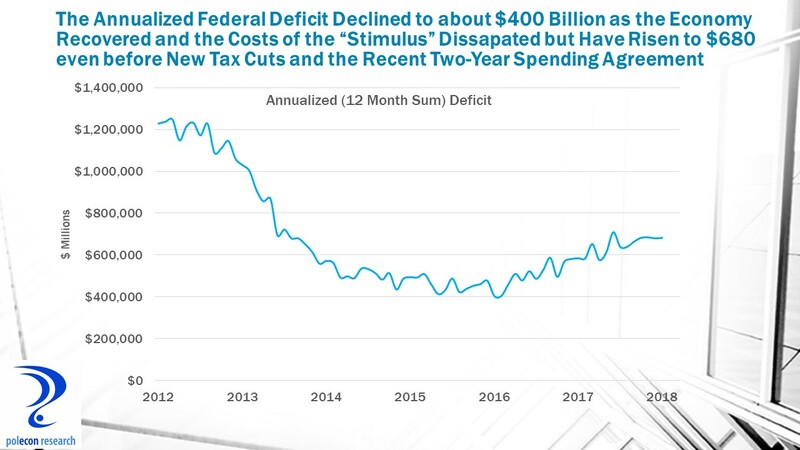 But it is also about to become notorious for producing a burgeoning federal deficit during a period of solid economic growth (annual federal deficits are generally inversely related to economic conditions). So the price of stronger growth and a longer expansion is looking like higher annual budget deficits (forecast to grow from 3% of GDP to 5% just by 2019) and a national debt that will grow from about 76% of GDP to 97% over 10 years, risking longer-term economic growth. It is a high price to pay for a small increase in economic growth and a fiscal policy gamble to add stimulus to an economy near full employment but it is price that the administration and congress are willing to pay without hesitation. Annual deficits declined between 2012 and 2016 as the economic recovery strengthened and costs associated with the “stimulus” eroded. But since early 2016 deficits have been increasing. The difference between monthly revenues and expenditures over the most recent 12 twelve months (between February 2017 and January 2018) shows that the annualized federal deficit stands at $682 billion compared to $585 billion for the February 2016 to January 2017 time period, a 17% increase over the year and up from a low of $405 billion early in 2016. The increase in the deficit results from both higher spending and a slowing rate of revenue growth (chart below), and it comes before the impacts of recently enacted tax cuts and the two-year spending agreement take effect that will both lower revenues by about $1 trillion over the next decade (even after accounting for growth effects) and increase spending by about $300 billion just over the next two years. The U.S. has had higher annual deficits in the past, but always during a period of weak or negative economic growth. Increasing deficits and greatly adding to the nation’s debt in the absence of an economic downturn should have been a giant caution sign for lawmakers. If $400 billion annual deficits were “crippling” our economy in 2016 (as some lawmakers suggested) how are $1 trillion deficits in a growing economy not of more concern? Debt is often the match that lights the fire of economic crisis, whether the fault was with politicians, central bankers, overzealous consumers, businesses, developers, bankers, credit rating agencies, regulators, or any combination thereof, all true crises involve too much leverage. 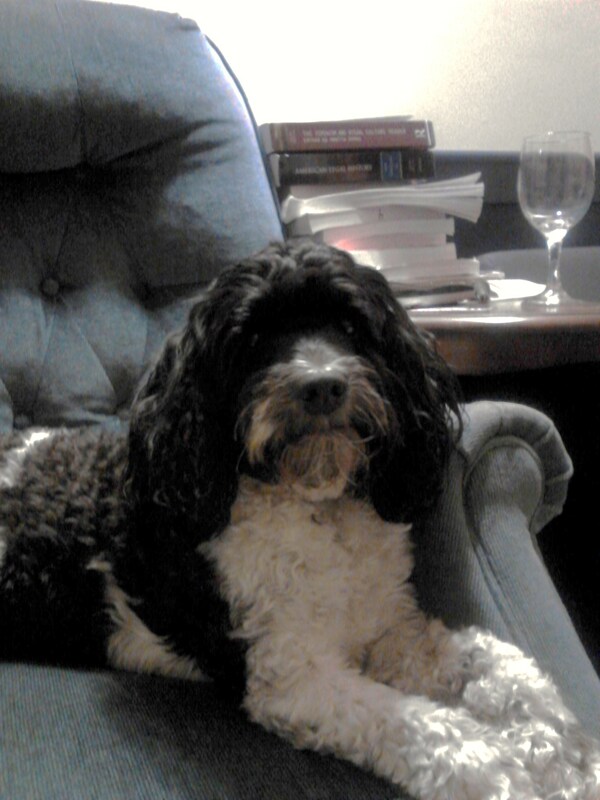 With that admonition (screed? ), reducing the corporate tax rate was still a good idea, the U.S. rate was too high. And yes, a lower corporate tax will raise wages eventually (lower taxes increase capital investment and improve productivity – raising wages), but only after years, and certainly not in the time frame suggested by the White House. But just as important (and largely a missed opportunity in the legislation) was the need to eliminate targeted and industry-specific preferences that direct too much investment to tax-favored activities rather than to their most productive uses. Many of the agreed upon expenditure increases also have merit. Overall, however, the combination of tax and spending policies recently enacted seems poorly structured and ill-timed. If we enact a deficit funded stimulus when we are near full employment and when the economy is already poised to grow more rapidly, what will we be able to do when the next recession arrives? The New Hampshire economy is fundamentally strong, our industries are as vibrant and innovative as ever and the state’s economy would be growing and producing more if the supply of labor could accommodate more growth. 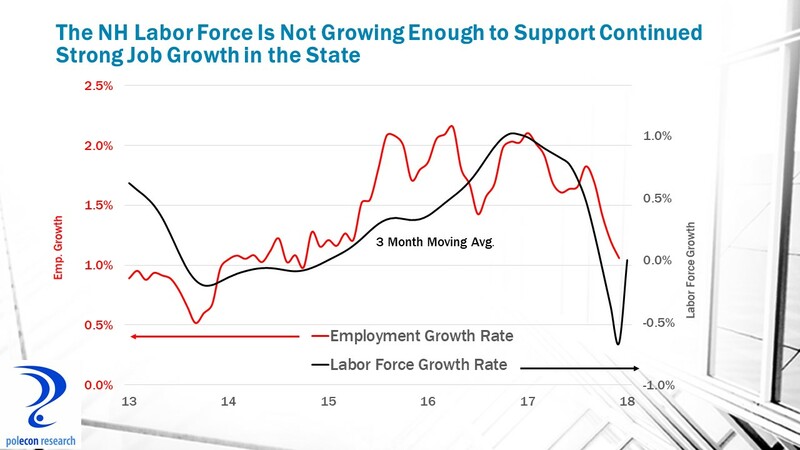 It can’t, labor force growth is not keeping pace with labor demand and economic growth has been slowing in New Hampshire for at least two quarters. It will continue to do so in 2018. So too will state revenues. State-level GDP estimates produced by the U.S. Bureau of Economic Analysis are reported with a long lag and are not a very timely indicator of current state growth trends. 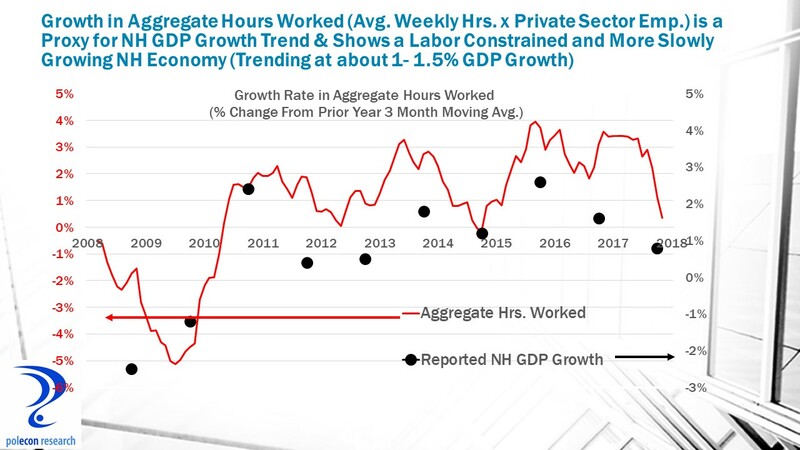 A useful proxy for assessing growth trends in state-level GDP is aggregate hours worked in the state (employment times the average number of hours worked) which correlates well with changes in the state’s total output of goods and services (GDP). Adding current estimates of U.S. productivity growth (there is no similar state-level measure) provides a high-frequency estimate of the state’s GDP growth trend. As the chart below shows, the growth rate of NH GDP is declining, again, primarily because the rate of employment growth is declining. When you are adding fewer workers the output of the state’s economy will grow more slowly unless there is a significant increase in productivity (it has increased some but not significantly). 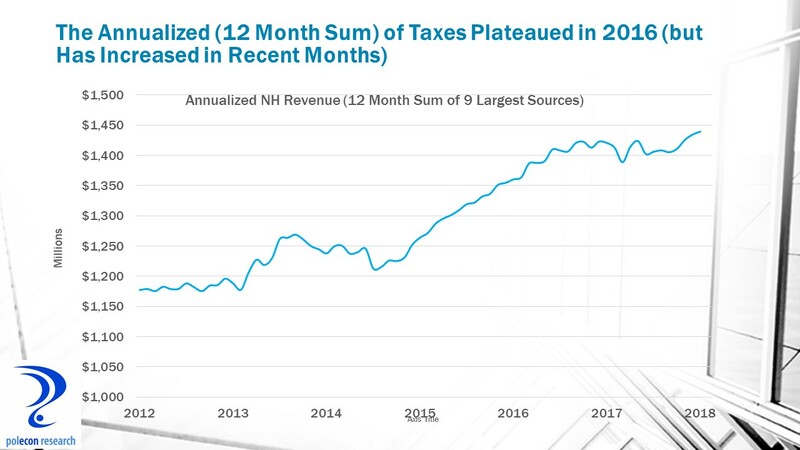 Slower employment and economic growth in NH (along with changes in revenue policies) have slowed the rate of revenue growth in the state since 2016. There has been a bump in the past few months but how the recently enacted tax cuts at the national level will affect the trend is uncertain. 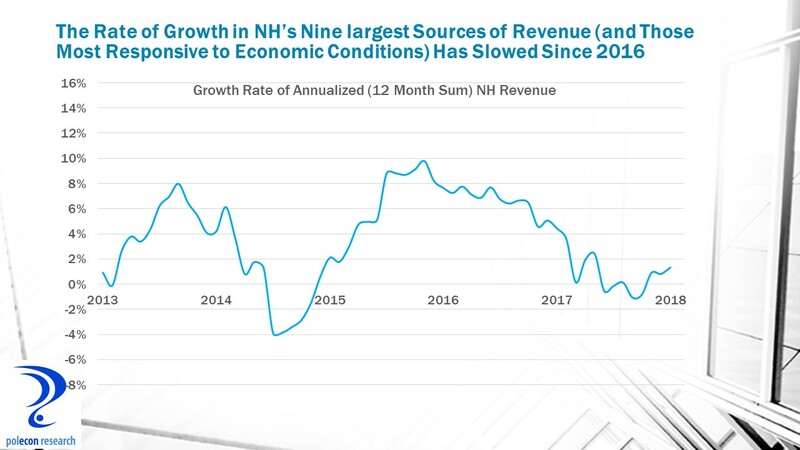 What is certain is that the growth constraints NH faces will make it difficult to accelerate economic growth in the state and thus state revenues. Looking at annualized revenue growth (summing any 12 month period), the chart below shows that revenue from NH’s nine largest sources of general revenue (and the sources most affected by economic trends) hit a plateau in 2016, at a time when employment growth was at its post-recession peak. Since that time, annualized growth in the revenue sources most affected by economic conditions has slowed. Looking at the rate of change in annualized state revenues illustrates the longer-term slowing of the rate of annualized growth. The chart below shows how significantly the growth rate in revenues has slowed since 2016. 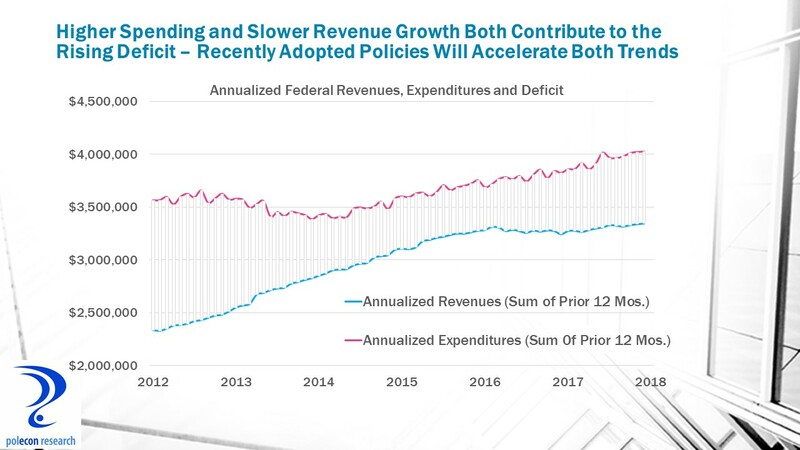 The impact on state revenues of recent changes in federal policies may be uncertain but their impact on state and local government is likely to add to the state’s fiscal pressures. A great deal of uncertainty exists over how funding for state-operated programs that share costs with the federal government will be affected but most signs point to less funding for programs like Medicaid and infrastructure. The administration’s recently announced $1.5 trillion infrastructure proposal actually reduces funding for states while calling for greater state commitments. Proposals to cap or block-grant Medicaid funding would significantly add to the fiscal pressures facing all states. 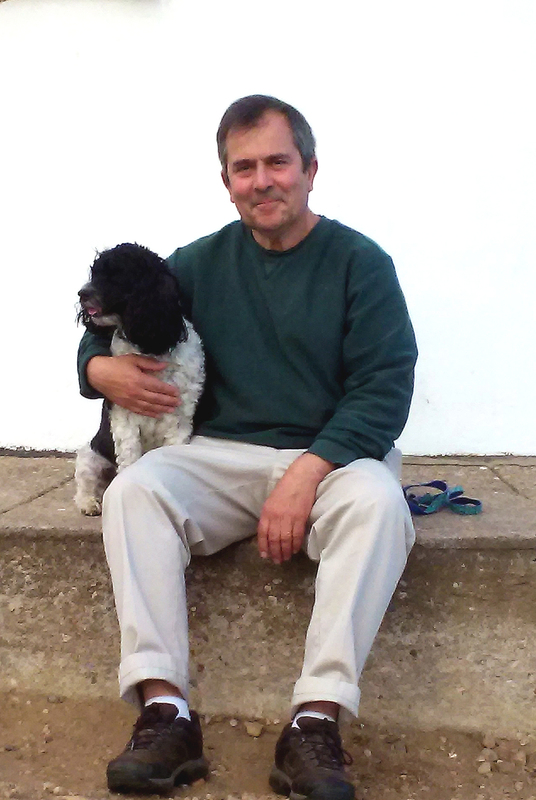 At the same time mandatory spending on things such as government pensions are poised to increase significantly in coming years. Less directly, federal tax law changes will affect the borrowing costs of state and local governments by making municipal bonds less attractive (relative to other loans and investments). Banks and insurance companies are big buyers of municipal bonds – lending money to state and local governments. The interest rate that governments have to pay on those bonds is lower than on other types of loans made by banks because banks and insurance companies do not have to pay taxes on the income they earn from loans to governments. The drop in the corporate tax rate reduces some of the advantage of the tax- free bonds and makes other loans/investments made by banks and insurers more attractive relative to municipal bonds. Interest rates on municipal bonds will have to rise to remain competitive with other loans. 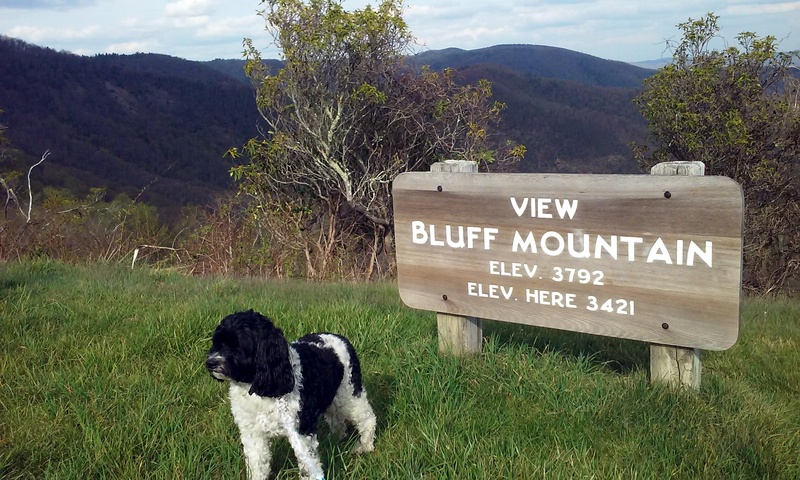 Along with slower growth in state revenues there are enough spending pressures building along with potential impacts from recently enacted federal policies to suggest lawmakers in the state would be wise to be cautious in the next budget cycle that begins in the fall of this year.